First impressions are exactly what Anthea and her team of interior designers offer their clients at Homebase Stage Style & Interiors. 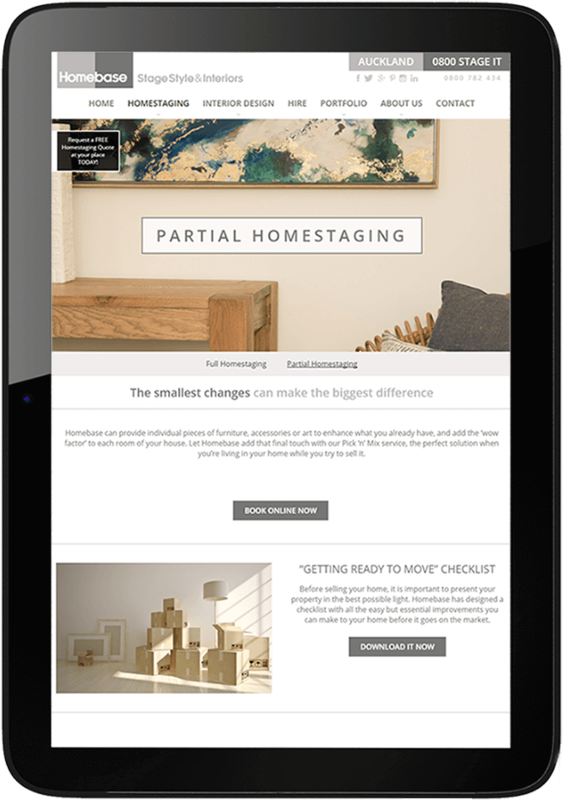 And we specialise in creating great first impressions online for our clients., so we were excited to help Homebase do just that. 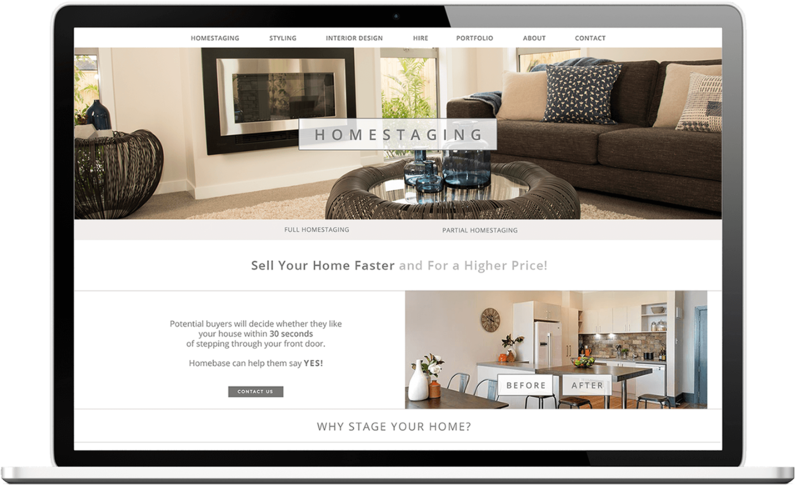 Their new modern website allows their work to shine with large photos and a filterable portfolio where prospective clients can browse full galleries of each home. If you are interested in making a great first online impression, contact us today. 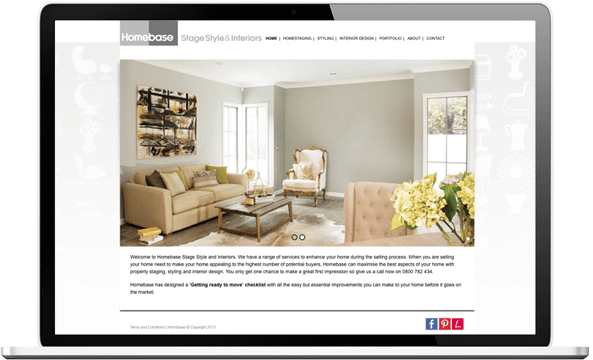 The new modern website created by Web Revolution allows Homebase to showcase their professionally detailed home staging and interior design work. Beautifully presented homes shine with a neutral backdrop and large photos. 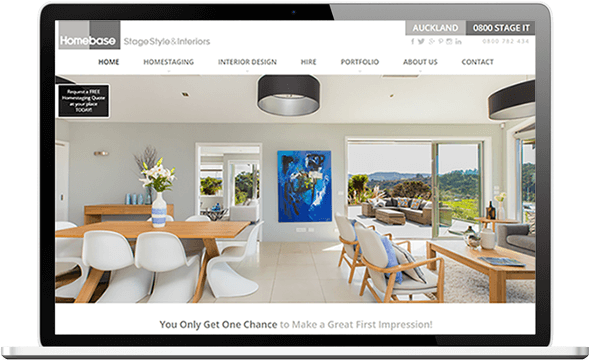 A filterable portfolio, where prospective clients can browse galleries of each project, increases visitor interaction, while on page forms and call-to-actions help to boost conversions. 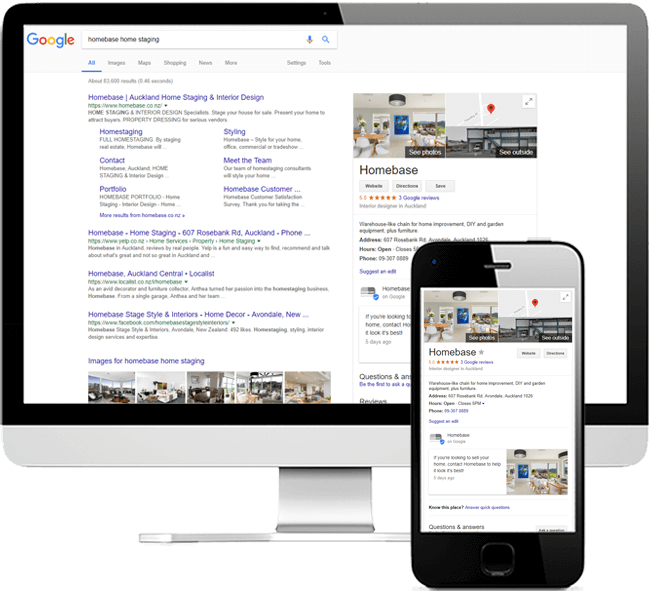 Web Revolution provides a combination of local search engine optimisation work and seasonal Adwords campaigns to keep Homebase at the top of the search results and the flow of homestaging prospects constant year round.